Rosenfeld Injury Lawyers LLC represents people with severe injuries suffered in accidents such as motor vehicle collisions, work-related accidents and other types of professional negligence including medical malpractice. Our law firm has collected a series of personal injury lawsuit accident FAQs related to the medical and legal aspects of an accident involving injuries caused by the negligent actions of others. Should you have additional questions, we invite you to contact our office for a free review of your legal rights. No one is ever prepared to be a victim of a severe accident or event that causes them harm. Unfortunately, these events often produce life-shattered consequences. Fortunately, by law, any individual who has suffered an injury, harm or damages caused by the negligent actions of another has the right to file a personal injury claim for compensation. The personal injury attorneys at Rosenfeld Injury Lawyers LLC have compiled a comprehensive list of the most frequently asked questions involving personal injury cases and wrongful death lawsuits and posted the answers below. Many families use this information to determine how to take legal action for justice and to obtain the financial compensation they deserve for their injuries and damages. How does the law define personal injury? Personal injury attorneys handle cases where the plaintiff was physically, psychologically or abusively injured through the reckless, negligent or intentional active another individual, entity, company or government agency. Attorneys resolve these cases in state civil court under Illinois tort law. What kind of case does my personal injury attorney handle? I have been injured in an accident that was not my fall. What do I do? Never leave the scene of the accident unless you are transported by EMT (Emergency Medical Technician) specialists to a hospital emergency room for treatment. If you are injured, you need to call 911 and asked for assistance. When law enforcement and paramedics arrive, ask to be transported to receive immediate medical attention even if you believe you are only minimally harmed. You have just experienced a horrific event, and your heightened levels of adrenaline might be masking the extent of your injuries. The doctor providing care at an emergency facility can perform a comprehensive physical examination and order x-rays and other tests to identify your injuries and provide appropriate treatment to begin the healing process. Next, have a family member, friend or companion photograph the scene of the accident. Captured images of the damaged vehicles, your injuries, and road and weather conditions can be used to prove your case later at a negotiated settlement meeting or one presenting your case in front of a judge and jury. Obtain the names and contact information of everyone involved in the accident along with the names and contact information of every witness at the accident scene. I did not cause the accident. How can I be compensated for my injuries and damages? Non-economic damages including pain, suffering, mental anguish, emotional distress and psychological trauma associated with the accident. Damages including property damage, embarrassment, loss of affection and companionship, loss of enjoyment, permanent scars, disfigurement, and out-of-pocket expenses. I'm the victim of medical malpractice. How can I hold my doctor financially accountable? Our personal injury law firm represents clients injured through medical mistakes and errors. Our attorneys recommend you file a medical malpractice lawsuit against the hospital, medical center, doctor, nurse, chiropractor, dentist or other health care provider responsible for your damages. My surgeon recommends I undergo hip replacement revision surgery. 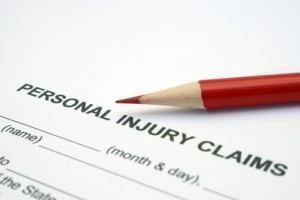 Can I file a personal injury claim for compensation? Definitely. Our premises liability team of attorneys recommend filing a claim against the medical device manufacturer who designed, marketed and sold a defective product in the medical marketplace. An attorney working on your behalf can ensure that you receive financial compensation for revision surgery where the surgeon will remove and replace the defective medical device. You will likely receive additional monetary recovery for time away from work, temporary or permanent disability, pain, suffering and other damages. A neighbor's dog bit my child. What are our legal rights for compensation? Our premises liability lawyers recommend that you file a compensation claim against the dog's owners. The civil courts can provide a legal remedy to hold those that handled and owned the dog at the time of the attack financially accountable if you can prove your child's injuries were a direct result of the dog's actions. I became ill after taking my prescribed medications. Do I have any legal rights to sue? Possibly. Our attorneys have handled defective medication cases on behalf of our clients who were injured by taking harmful drugs. We built their case for compensation by investigating the severe side effects of the medications they took, and any actions the pharmaceutical manufacturer took after receiving warnings or recall from the Food and Drug Administration. We have been successful at prosecuting defective drug cases just like yours. Can I wait to file my compensation claim or lawsuit? Not really. The Illinois statute of limitations restricts the amount of time you must file a claim for compensation or lawsuit against all potential defendants. If you fail to submit the necessary documentation and paperwork in the appropriate county courthouse before the statute expires, you likely forfeit your right to ever seek financial compensation at any time in the future. Because of that, our legal team recommends that you let us begin your case now to determine the length of time we must submit your claim to ensure you are adequately compensated for your damages. Why should I file a claim or lawsuit? Don't attorneys make more money than plaintiffs? No. While it is true that personal injury attorneys take a portion of the negotiated settlement or a jury trial award, they make these agreements to postpone your payments to relieve your financial burden until the case is settled. In exchange for that, the law firm brings with it years of experience in identifying every potential defendant involved in the accident or incident. They also have extensive experience in building cases, gathering evidence, deposing eyewitnesses, and hiring experts to provide professional testimony at trial. You attorney has access to all the necessary resources to resolve your claim. Additionally, the attorneys will bring their negotiation skills to the settlement meeting to finalize your case for the most amount of financial compensation available without the need to present the evidence in front of a judge and jury. In the cases that need to be resolved in court, the lawyer will file a lawsuit to present your evidence in court and serve as your legal representative until you receive a jury award. I filed a claim, and the claims adjuster wants me to record a statement. What do I do? Our attorneys recommend that you do not speak to the claims adjuster. Instead, contact our office, and our lawyers will instruct the adjuster to talk to us on your behalf. Additionally, we advise you never speak to anyone about the facts in your case or give a statement divulging who you think might be responsible for your damages. Our lawyers recommend this to protect your rights to ensure your words are never twisted and used against you to disprove your case during the negotiation process or in court. Never sign a statement or a release and never accept a settlement check until you speak to our attorneys. I can't determine if I have a case or not. What do I do? How would your law firm resolve my personal injury case? In resolving your legal dispute, our attorneys will take two different approaches beginning with an informal settlement and then filing a formal lawsuit if necessary. Informal Settlement – Nearly all personal injury cases and wrongful death lawsuits are settled during a negotiation meeting outside the courtroom. 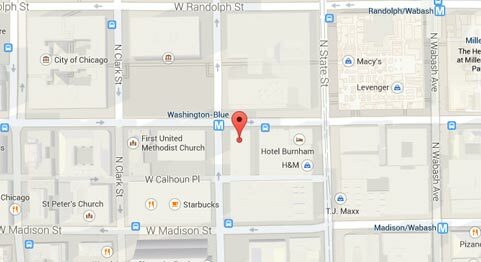 The meeting occurs between the personal injury attorneys and the defendant's lawyers. If an agreement can be reached, all parties will sign a written contract where the plaintiff receives a specified financial amount to stop taking any further legal action (like filing a lawsuit) against the defendant. If an agreement cannot be reached, the plaintiff's attorney will file a lawsuit against the defendants. Formal Lawsuit – Civil courts work differently than a criminal court and follow civil procedure rules where the plaintiff initially files a “complaint” against the defendant alleging that their irresponsible, careless, negligent or intentional act caused the plaintiff's harm. Many lawsuits continue through the court system until the trial begins where both the plaintiff and the defendant's lawyers present evidence to prove their side of the case. However, there are times where the defendant will ask for a last-minute settlement to avoid an undesirable or unpredicted outcome once the jury comes back with a verdict. We want to hire your law firm but have no money. What other legal options do we have? If you believe your loved one was injured through the negligent actions of another but have no money to pay for legal representation, the personal injury attorneys at Rosenfeld Injury Lawyers LLC can help. Our legal team accepts every personal injury case and wrongful death lawsuit through contingency agreements. This arrangement will postpone the payment of all legal fees until after our law firm has won your case at trial or negotiated an out of court settlement on your behalf. We encourage you to contact our personal injury law offices by calling (888) 424-5757 today to schedule your comprehensive case review. We provide every client a “No Win/No-Fee” Guarantee, meaning if we are unable to secure financial compensation, you owe us nothing.